Money is a strong resource for a man. It can buy a power, prestige and luxury. Unfortunately, money can also bring hatred, greed and dishonesty. That’s why learning how to correctly spend your money is important. You have to be equipped in how money works if you want to really develop your path to financial freedom. The art of financial planning is not only centered on budget, savings, investment and others. Proper spending should also be discussed. Once you’ve mastered how your money should be consumed, you will learn that all it takes is financial discipline to be the person you wanted to be. One of the top 10 most important lessons in personal finance will be learning how to spend below your means. Live a life that is focused on growing your money rather than wasting your money for nonsense stuffs. Mind how much you earn and practice living within this amount or less. 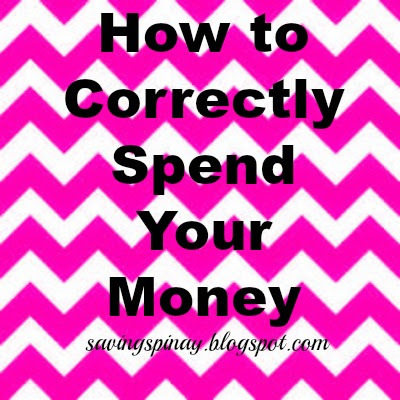 A true wise spender will never move on with his day or month without securing a budget. I have a lot of posts about this that I am encouraging you to visit. You can learn how to create a spending plan, how to effectively use one, what are budget categories you can include and many more. It is important to note that budgeting won’t guarantee that your overspending will stop… but over time that this financial concept will be part of your routine you’ll be surprised that it really gives you a benchmark to follow for your daily or monthly expenses. Thus, it is way easier to save and to invest. Being and staying in debt is a hard situation. I am very fortunate to have both parents who worked really hard just to refrain us from experiencing being in debt. If you want to correctly spend your money you need to avoid being in debt not unless the situation is too bad and the last resort is the financial help from others. Try to be more intentional with your spending and make sure that you only spend on what’s important. Credit Card is one of man’s worst enemy. It gives you a purchasing power that could be advantageous and disadvantageous at the same time. If you’ve watched the movie Confessions of Shopaholic you can visualize yourself on a shopaholic’s life and realize that a credit card is just so easy to use in giving life satisfaction. If you already own a credit card then all that I can advise you is to make sure that you are treating the credit card for your advantage. Remember that a credit card is not a replacement for cash. I will try to create a separate blog post for this topic in the future. I saw this on Pinterest one time and I thought it is a good idea to create a financial binder. You can use this binder as storage of receipts for bigger purchases, bills, income tax papers and credit card statements. You can also put a monthly calendar at the back and encircle what bill is due to what particular date. Another benefit of a financial file binder is that it makes it easy for you to keep track on your expenses that can always help when it comes to creating a helpful budget. The number one reason why madalas kasisweldo pa lang ubos na, is the fact that we have a lot of needs and wants as a human being. If you will limit your problem that you want others to solve for you then you will definitely correctly spend your money. -Bring a 3-in-1 instant coffee instead of indulging in specialty cafés. -Avail promos from telecommunication industries such as unlimited text, unlimited call etc. instead of spending too much. -Control your vices or if possible stop it/them and put the amount you are spending as part of your savings. It is important to be very intentional when it comes to how you spend your money. Plan ahead of time whenever you have big purchases. Look for other brands or establishment that offers the same feel and quality for a lower price. Write down your grocery list so you can keep track of what’s important to buy. Also consider having a bi-monthly or weekly grocery and shopping spree. Be on a shopping ban before the date you dedicated arrives. 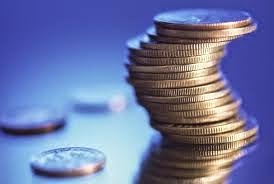 Tithing is considered an important part to achieve the right financial balance in life. Give back what is due to God. At the end of the day, He is the source of all the financial blessings in your life. Sharing your blessings is also an effective way to open yourself for more blessings in the future. I can’t stress too much of the benefits an emergency fund can give you. It allows you to have financial peace in case something unexpected happens. It is a way for you to find an amount that could supply temporarily on situations beyond your control like getting laid off from your job, a family member is sick and so on. You are still allowed to have fun even if you are aiming for your financial goals. Use your resources to have fun and enjoy life as it happens. Travel, reward yourself with a festive dinner and spend quality time with your family by sharing your blessings. It is just right to experience the fruits of your labor.